Hi, everybody! I’m Laura and I’m thrilled to be sharing my first card and video tutorial here on the brand new Tonic Studios Blog. When I was invited to the Tonic Studios Social Media Design Team, I immediately felt so excited and I simply couldn’t wait to start creating and share my cards with you. For my first card, I decided to get creative with a few of my favourite products, techniques and colours to create a purple ombré background featuring the Petal Pattern Stencil. Make sure to watch the video below for a step-by-step tutorial. 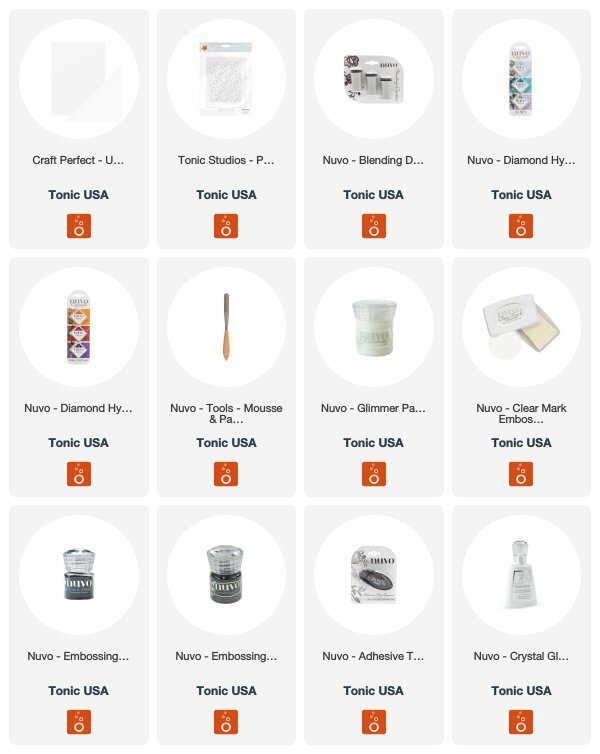 There are so many ways to use the Nuvo Moonstone Glimmer Paste. One of my favourite techniques is to create a sparkly ombré background. To do so, I started out with a piece of Craft Perfect Ultra Smooth Card and cut it to 4,25 ” inches x 5,5″ inches. Then, I used the Tonic Studios Petal Pattern Stencil along with Nuvo Hybrid Ink Pads to ink blend the background on the paper. I used Nuvo daubers to apply the ink over the stencil but you can also use sponges. You could leave it like this, or take it a step further and apply the Nuvo Moonstone Glimmer Paste on top for a sparkly effect! Next, I die cut the banner from the Tonic Studios Hooray Banner Die & Stamp Set. I stamped a sentiment using the Nuvo Clear Mark Embossing Pad. Afterwards, I applied Nuvo Jet Black Embossing Powder, tapped off the excess powder and heat set the powder until melted. One easy way to prevent your embossing powder from sticking everywhere is to prep your card stock with kitchen flour. Simply apply flour with a brush and gently tap off the excess before stamping your sentiment or image. To finish off this card, I coloured the tiny flowers with alcohol markers and added some sparkle with a Nuvo Aqua Shimmer Glitter Gloss Pen. Finally, I also applied a coat of Nuvo Crystal Glaze on the flowers to make them shine even more! That’s it for now. 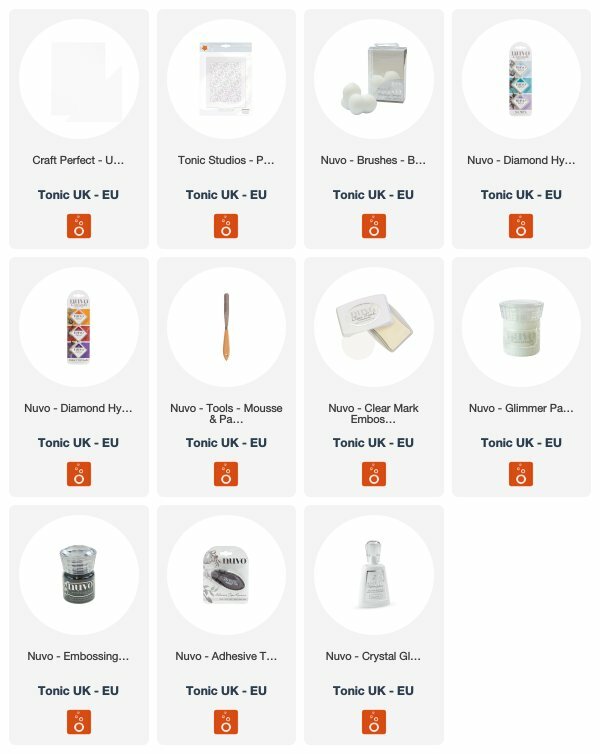 What are your favourite Tonic Studios products? Let me know in the comments below so I could feature them in my upcoming blog posts and video tutorials. Thanks for stopping by!